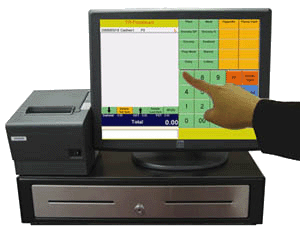 MBxPOS Solution is an economic budget Point-of-Sale system ideally designed for small business. With an affordable price and with very powerful and complete functions, MBxPOS excellently supports many types of retail business operations, for almost any merchandise. 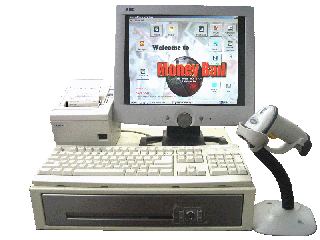 MBxPOS is very easy to setup and use. It can help you to automate your sales and inventory control quickly. 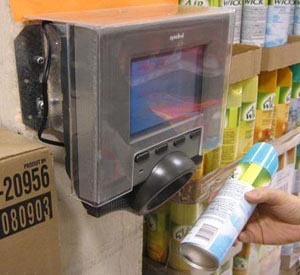 The solution provides barcode item check out, reorder reminding, direct pinpad connection for debit/credit card and DVR surveillance system integration...etc. MBxPOS - Touch version enhanced "Touch Screen" capability along with the barcode scanning on the sales operations to provide a pleasant and fast check out service. - Easy to administrate "You only need little computer skills!" * Particular brands of DVR systems are required. 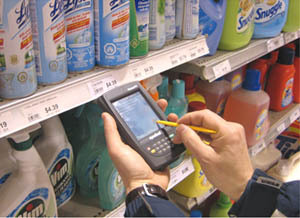 Increase the employee productivity and efficiency in managing inventory by taking the remote data terminal (Pocket PC) to the aisle or loading dock to scan items quickly and accurately. This perfect space-saving device run application with price verification and barcode scanning throughout your retail environment. This interactive self-service kiosk empowers you to increase your sales opportunities while reducing your internal store operation costs. Optional: Microsoft Office for producing more professional look reports.